Enjoy a stress-free trip to Edinburg, TX. Your adventure is waiting for you, and all you need to do is step through our front door. Our service is exceptionally friendly and amenities are plentiful, ensuring the most memorable and pleasurable stay. 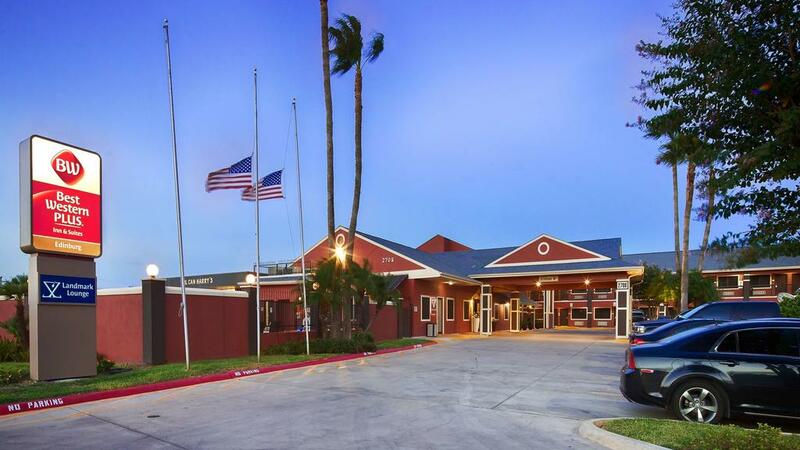 Our Best Western Edinburg Inn & Suites is in close proximity to many of the cities prime attractions, such as the Los Lagos Golf Course, La Plaza Mall and McAllen Miller International Airport. 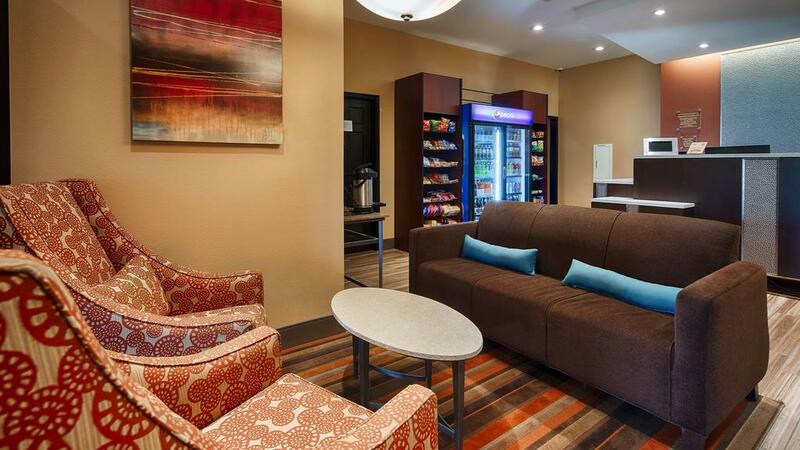 Breakfast is our favorite meal of the day and, and every guest can enjoy it for free at our Best Western. 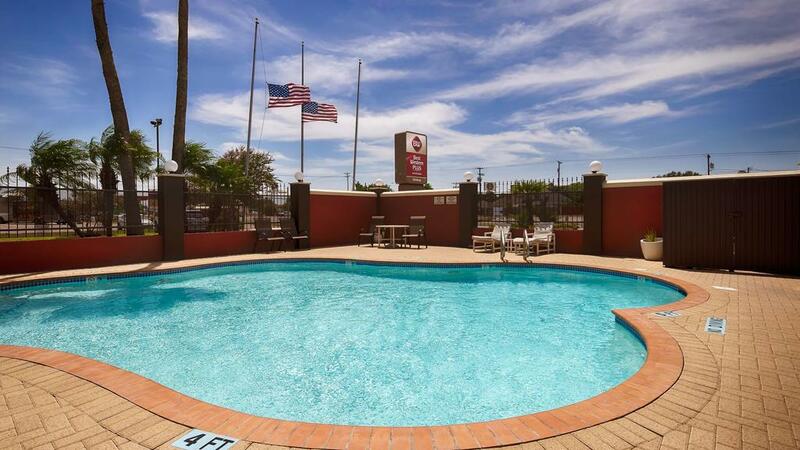 Guests at our Edinburg location benefit from free parking, as well as an outdoor pool, fitness facility and free Wifi, making your budget go even further. 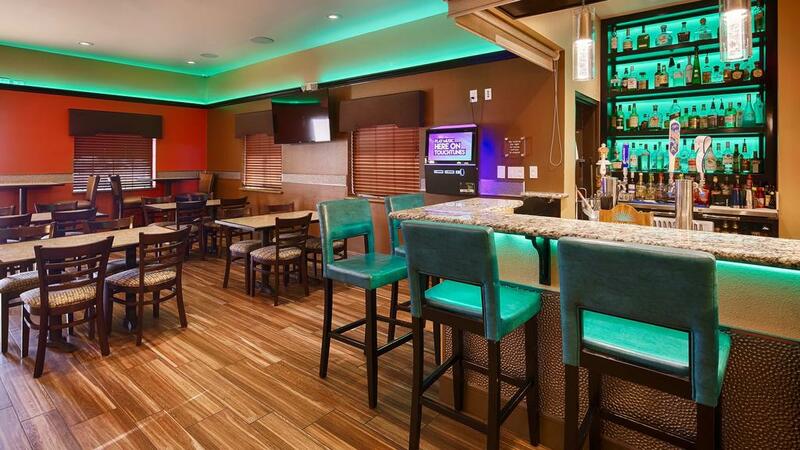 Plus, you can stop by our contemporary cocktail lounge Landmark Lounge. 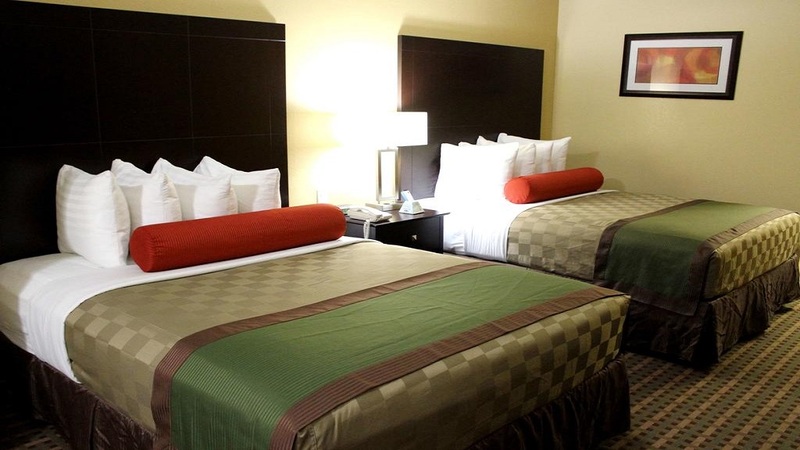 Our guests are our family at Best Western Edinburg Inn & Suites - we'll make you feel right at home. In-room amenities include a refrigerator, hairdryer, desk/work area, ironing board, coffee/tea maker and cable satellite television. Book your stay today and prepare to enter into a unique and comforting experience. Pack your bags for an enjoyable getaway. 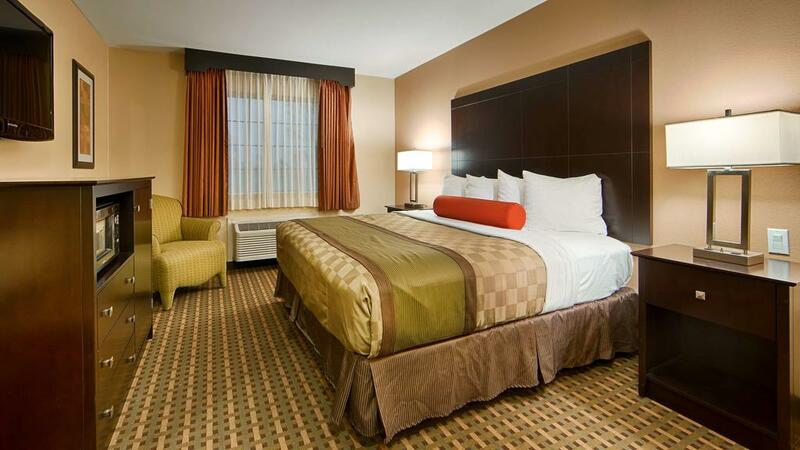 We're focused on making your stay simple, flexible, and convenient. Our Best Western Edinburg Inn & Suites is proud to be located near so many wonderful attractions and sights. Have a look at all we have to offer and plan your visit today! They say everything is bigger in Texas. Well, guess what? Everything taste better too. Raise your hand if the main thing you look forward to on vacation is food. With so many dining options to choose from, we've made it easy for you to find the best restaurants right here in Edinburg, TX. Snowbite, Pieology Pizzeria Edinburg, Nuri, University Draft House, Salt, Potato Tom, and Country Cafe are perfect for every taste bud and appetite. Who's ready to shop until they drop? Calling all shopaholics staying in Edinburg, TX. Our Best Western Edinburg Inn & Suites is close to some of the best shopping in the region, including the famous La Plaza Mall. The La Plaza Mall has 1,215,000 square feet of gross leasable area and features more than 150 specialty stores. Our shopping locations have the best deals in town and they are right at your fingertips. Texas - the state that embraces all things BIG! A theme park haven, Texas has thrills to suit the whole family. From the yee haw Six Flags Fiesta, the family friendly Joyland Park, or the waterfront Kemah Boardwalk, you will keep you busy. If you're looking for wildlife and education, you'll find both at Gladys Porter Zoo or you can take a ride on the Los Ebanos Ferry, the last hand-operated ferry on the Rio Grande. There's something fun in this town for everyone. Whether it's a date night or a night on the town with friends, you're bound to have a great time in Edinburg. Every night, the town fills up with life, joy, music and energy, transforming the city into a fun cosmopolitan destination. Sip Lounge, SIN Nightclub, Mezzanine on 17th, The Blonde Pig, University Draft House, Fast Eddie's Billiards, and Tropicana Lounge are the perfect spots to let loose and raise your glass. The International Museum of Art & Science is a museum located in McAllen, Texas. It is dedicated to exhibiting Latin American art, as well as educating visitors about science. Its exhibits include antique stained glass, images from the Hubble Space Telescope, and the Discovery Pavilion, an educational children's exhibit. The museum also features a sculpture garden and a science playground.The museum's art collections include European art from the 16th to 19th centuries, Japanese prints, Modern art and folk art. The Museum of South Texas History is located in Edinburg, Texas. It features exhibits on the history of the Rio Grande Valley, as well as the rest of South Texas and Northern Mexico.The museum now owns more than a city block, located on the square in Edinburg. The Museum opened in 1970 as the Hidalgo County Historical Museum. It was originally housed in Hidalgo County’s Old Jail, a Texas National Landmark, built in 1910. The Museum has since expanded to three main buildings, and gives visitors a full understanding of regional history from prehistoric times and following through to the 20th century. The University of Texas–Pan American (UTPA) was a state university located in Edinburg, Texas. Founded in 1927, it was a component institution of the University of Texas System. The university served the Rio Grande Valley and South Texas with baccalaureate, masters-level, and doctoral degrees. The Carnegie Foundation classified UTPA as a "doctoral research university". From the institution's founding until it was merged into the University of Texas Rio Grande Valley (UTRGV), it grew from 200 students to over 20,000, making UTPA the tenth-largest university in the state of Texas. The majority of these students were natives of the Rio Grande Valley. UTPA also operated an Upper Level Studies Center in Rio Grande City, Starr County, Texas. On August 15, 2014, Dr. Havidan Rodriguez was appointed interim President of UTPA, the institution's final leader. All children are welcome. Free! Up to two children under 18 years stay free of charge when using existing beds. Any additional older children or adults are charged USD 10 per person per night when using existing beds. Free! One child under 2 years stays free of charge in a crib. Any additional older children or adults are charged USD 10 per night for extra beds. The maximum number of extra beds/cribs in a room is 1. Any type of extra bed or crib is upon request and needs to be confirmed by management. Additional fees are not calculated automatically in the total cost and will have to be paid for separately during your stay. I always look forward to my stay here , because the people are vey friendly and accommodating. And like I've said before - when I open the door to my room and see how clean and inviting it is ; it just makes me feel relaxed. Usually we stay in Mcallen but from now on this will be our first choice.The room was very clean and the staff made me feel welcome.We also enjoyed the pool.The hotel has a lounge.We enjoyed some drinks.We will definitely be back! Clean inside and outside, breakfast was good, staff were great.Will stay again when in town. I left some items in the room and the staff notified me right of way. they offered to mail it to me, I thought that very nice. I recommend this hotel to everyone, you will enjoy the stay. We got this hotel for a good rate. The room are large. The beds are very comfortable. The breakfast choice are very good. We decided to eat here every morning. The pool is clean. For the price it is a good deal. 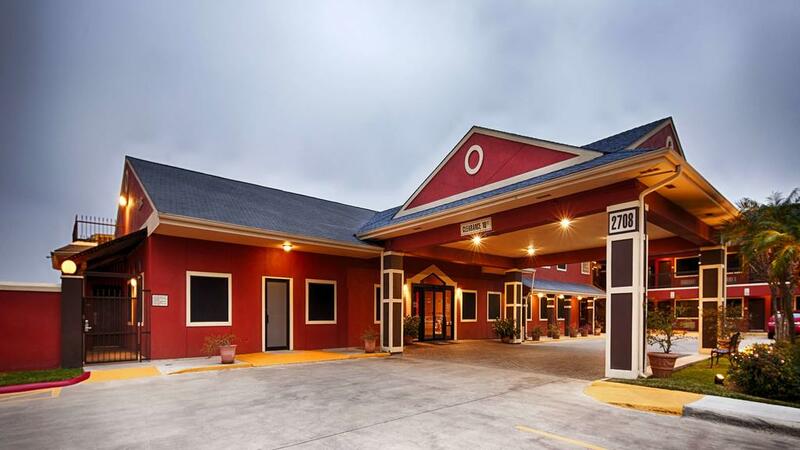 We stayed at the Best Western Plus in Edinburg Texas for three nights. The room was very nice and comfortable for our extended stay. The breakfast each morning was excellent and offered us varied choices. Rooms are nice sized with comfortable beds large TV, nice bath linens, fridge with FREEZER good A/C, micro wave, a pool, and Fitness room. Look them up, they have reasonable rates, one of my favorite locations to stay and it will be yours as well.